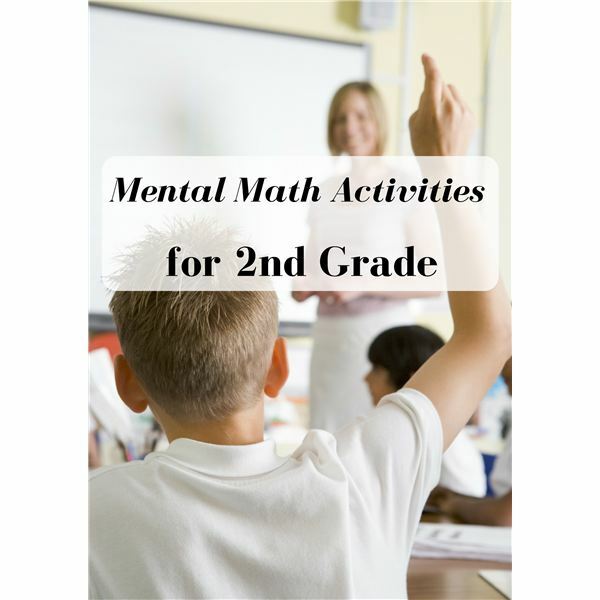 Store bought or handmade flash cards of addition and subtraction facts within twenty. Place students in groups of two or three. Give each student scrap paper and a pencil. The group should have one deck of cards (face cards removed). Each player should write any five numbers from 2-20 on their own paper. No number can be repeated. The players take turns. Player one turns over two cards, adds the numbers mentally and crosses off the answer if it appears on his paper. The other two players can challenge the answer if necessary. The first player to cross off all five of his own numbers wins. For a faster version when the two cards are turned over, all players add the two numbers mentally and cross off the number if it appears on their own papers. Instruct the students to randomly fill in a blank bingo card/paper with numbers from two through twenty. Numbers can be in any order and only used one time. There will not be enough squares to fill in every number. The teacher begins by holding up a flash card. Students mentally think of the answer and mark the appropriate square on their cards. Student who has a complete row marked either up and down, across, or diagonally wins and becomes the next leader to hold up the flash cards. Activity Three: “One and Out"
Pairs of players each with a paper and pencil and one dice to share. Set the timer for one minute and then say “Start!" First player rolls the dice, rolls again adds it mentally to the first number and keeps a running total as he continues to roll. However, if the player rolls a 1, they have to start over! Second player does the same thing for one minute. The player with the highest total wins. Winner moves to another partner. Activity Four: “Find My Numbers"
Teacher writes five numbers on the board where all students can see. Place students in teams. One player from each team competes with a member of the other team. One point given for the team player that answers first. Change the five numbers as needed to allow everyone to have a turn. Activity Five “Hit the Target"
Pairs of students play this game. Each pair has one paper, pencil and one dice. If doing addition start with the number 0 (zero). If doing subtraction work down from 20. Write zero at the bottom of the paper and twenty at the top. First player rolls the dice and mentally adds it to zero and writes the sum above the zero. The second player rolls the dice and adds it to the first player’s number and writes the sum above that number. In other words there will be a column of numbers from zero and twenty. The first player to reach exactly 20 wins the game. You must roll the right amount without going over. Players may have to roll a few times to reach 20 exactly. Game continues until one person reaches 20 exactly. The Center for Applied Research in Education, 1985. **Games learned and developed by this author from 25 years of teaching experience. Petreshene, Susan S. Mind Joggers! 5-to 15 Minute Activities That Make Kids Think.